One of the foremost economists in Austrian Economics is Ludwig Von Mises. One of his major contributions was praxeology, which is is the deductive study of human action. I have been trying to better understand praxeology. I have consulted numerous websites, papers, and videos on point. Most of them either ramble on saying nothing or they spend all their time attacking logical positivists or others. I decided to review a paper from the Mises website and a video on point. Together I thought these were the best sources on slightly different points of praxeology. The video was a lecture by Dr. Walter Block who is the Harold E. Wirth Eminent Scholar Chair in Economics and Professor of Economics at Loyola University New Orleans and Senior Fellow with the Ludwig von Mises Institute. Below are statements from the paper (1-4) and the video (5-12), with my comments below. Note that my criticism of praxeology and Austrian Economics is not an endorsement of any other school of economics including classical, neo-classical, Keynesian, monetarists, etc. The fact that I am critical of praxeology does not make me or mean I am a logical positivist. Also my critique is not to suggest that there are no valid points made by Austrian Economics. How can you tell the difference between non-goal directed action and goal directed action, if you cannot say what goals should be pursued or will be pursued? If the goals are random or allowed to be random, how can you be sure the actions are not random? The answer is that there is no difference between non-goal directed action and goal directed action where the goals are random. This is part of the value subjectivism of Austrian Economics. What is the goal directed action of a person committing suicide? Or a vandal? Or a teenager on a joy ride? The human action axiom is meaningless when it is impossible to judge the goal. This means that praxeology is a branch of Philosophical Rationalism. Descartes created a system of physics just by thinking about the world. It was internally consistent. In other words it was just like praxeology and it did not describe the world and could not be used to predict or understand how something would work. There are no axioms in physics. Physics is a science and science starts with observations, not axioms. Note that the paper says “individual subjective choices”, which means that the word subjective here is not that each person makes their own choices. It means that there is no rational way to evaluate people’s choices. This subjectivism is why all major figures in Austrian Economics do not think that natural rights exist. They do not believe that ethics can be based on reason. 5) Economics is pure logic – no need to verify in the real world. That would make economics a branch of mathematics (logic), not a science. (Also see the video https://www.youtube.com/watch?v=aTXxvWa11Lg). 6) While economics is based on pure logic, the lecturer argues it is science. Dr. Block does not know what the definition of a science is. Actually, I do not think Mises made this mistake of confusing math/logic with science. 7) Total profits equal zero in the economy is an axiomatic (theorem) tendency according to the professor. If this were true we would still be living in the Malthusian Trap. The definition of zero profit in the economy would mean that on average people are living on the edge of starvation. Profit means that you produce enough to have a surplus. But this does not have to bother Dr. Brock, because economics is not an empirical science, which is an oxymoron. It appears the professor was attempting to summarize the zero profit theorem, which is based on perfect competition. Perfect competition is a flawed concept that denies property rights, something it has in common with Austrian Economics. I discuss the many flaws of perfect competition in my book Source of Economic Growth and also in my lecture at the Atlas Summit 2015. 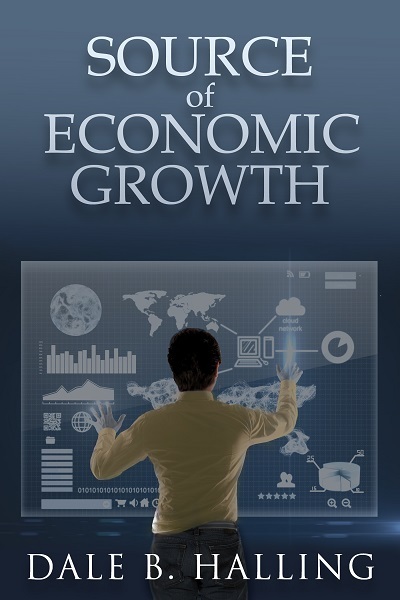 If what the Austrians are trying to say is “in a technologically stagnant economy the total profits tend to zero.” Then that is true and I discuss this in my book Source of Economic Growth. The reason for this is the second law of thermodynamics (entropy). It is also probably true in a technologically stagnant market, profits tend to zero for firms in the market. 8) The Zero Profit theorem cannot be falsified. That is the meaning of non-empirical, but what is amazing is that he says this straight up and I showed above that in fact the theorem as he states it is in fact incorrect. 9) You don’t test that a triangle has 180 degrees? Yes you do. Obviously Block is not familiar with the book flatland. In fact there is an experiment in astronomy that is doing exactly this. See http://www.mathaware.org/mam/05/shape.of.universe.html. 11) Trade – both parties expect to profit by a trade is an axiom/theorem of praxeology according to Block. While this is true, it violates the zero profit tendency. 12) Inputs to the economy are land, labor, capital, and entrepreneurs. How are entrepreneurs a separate input? Are not entrepreneurs just a combination of people and capital, at least in Austrian Economics? The additional input and the only input of importance is human knowledge and when we are talking about economics that means inventions. I only commented on the first 15 minutes or so of the video. There were other errors, but explaining them would take too long. Of course there were many valid points. The bottom line is that praxeology is not a science and to the extent that Austrian Economics is based on praxeology it is not a science. Block points out that there are sort of two schools of Austrian Economics and the other one is based on Hayek’s ideas. Hayek rejected praxeology and his somewhat equivalent theory is his theory of Cultural Evolution, for more see the video Hayek: Friend or Foe of Reason, Liberty and Capitalism? Cultural Evolution is an inherently collectivist that is based on the idea that reason is limited or totally ineffectual. It is not a science either, since it rejects the use of reason. No matter which branch of Austrian Economics that you investigate it is not a science. The result is that it makes numerous errors, which I have detailed elsewhere, but include an improper definition of property rights, an improper definition of capitalism, the false model of the Austrian Business Cycle, and others. Austrian Economics is not the only school of economics that is not a science. However, if economics is to ever advance it has to be a science based on the nature of man and understanding that his unique tool of survival is his ability to reason. In my book the Source of Economic Growth I lay out the principles for a school of economics that is a science, that is consistent with Objectivism, and is consistent with Natural Rights. 1) What is the goal directed action of a person committing suicide? Or a vandal? Or a teenager on a joy ride? The reasons for them acting are subjective, and the reason you don’t understand those as “rational” or “good” actions is because you are trying to objectify them for yourself. In all 3 examples, they are trying to change an unsatisfactory state of affairs with a more satisfactory state of affairs. As unfortunate as it is, in reality the person committing suicide is unhappy with his current situation and is choosing to end his life which he sees as a way of perhaps “stopping the pain”. The vandal could possibly be angry at the world, or feels that no-one listens to him, and chooses to express himself by vandalizing something to possibly provoke a response from someone or society in general. He sees his current situation as unsatisfactory, and by acting, is attempting to bring about an alternative state of affairs, where perhaps he “gets more attention”, or causes someone to notice him. The teenager on a joy ride could feel bored and again could see this as an unsatisfactory state of affairs. He wants to take more risks and try new things, drive fast to perhaps to recreate an adrenaline rush from watching an action movie earlier in the day. 3) Mathematics is axiomatic, and is used to predict what will happen before the physics observation is even performed. For example, the large hadron collider would have never been built if wasn’t for the axiomatic and purely formal mathematically theories that provided the motivation to actually test those theories in the real world. 2) Praxeology is different in the sense that you are evaluating the very essence of theorizing itself. Creating a theory is an action. Testing the theory is an action. You can’t test an action, since testing is an action as well. You are “chasing your tail” if you try to apply the methods of the physical sciences to praxeology. You clearly do not understand how physics works. The mathematics is used to model the observations. Observation is the primary, not the math. 4) oddly enough, many of the people talking about austrian economics today believe in natural rights, including the persons you mentioned. They are trying to use Praxeology to “back up” natural rights, which was not it’s intent as you clearly state. I don’t really disagree with you here. Praxeology has been hijacked by the the quasi-libertarians in order to attempt to objectify their values and judgements as something scientific. This is nothing new, and has been attempted since time immemorial. Everyone, including kings and queens, thinks their values and judgements are supreme and correct and right, but they are not and never will be scientific. This is exactly one of the tenets of Praxeology. With the exception of Rothbard and he is confused on the point, Austrian Economics rejects Natural Rights and Natural Rights are inconsistent with praxeology. 5) Again, I don’t disagree with you here. But then again, I don’t know if would say that mathematics is unscientific. It is possibly the most scientific thing about science. I think I understand what you are saying, however the word “scientific” is not always used in a “scientific” way, and it’s meaning can be twisted in many different ways. No there is a difference between mathematics and science. Science is based on observation, mathematics is based on axioms. Now it is possible that the axioms are inspired by observation, but their truth is not determined by observations. That is not a science, it is philosophical rationalism and so are many religions. Total profits equal zero in the economy is an axiomatic (theorem) tendency according to the professor. You are confusing the statement above as a statement about perfect competition when it is not. This statement was regarding the “Evenly Rotating Economy Model”, which was a model mises used to show the impracticality of central planning. You hit the nail on the head when you say that an economy based on zero profit means stagnation as this was one of the main point of the model. Mises in no way ever asserts that in reality profit equal zero.